Plovdiv is a city full of surprises and interesting stories. 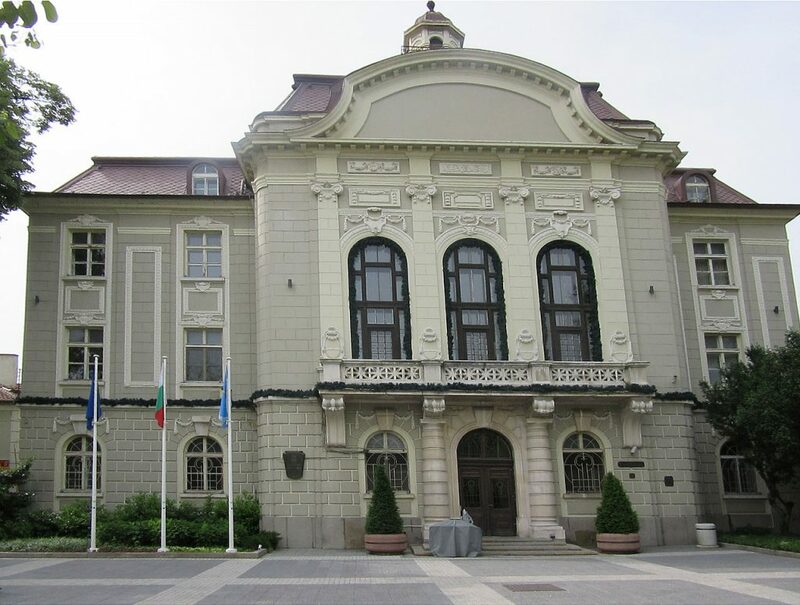 Explore some of the major architectural landmarks of the second biggest city in Bulgaria to discover some beautiful façades and amazing stories behind them. The Ancient Roman Theater is one of the symbols of Plovdiv. Still an imposing building today, it is in use more than 2,000 years after it was built. Not only can you visit it as a tourist attraction but you can also watch an opera or theatrical or musical performance under the stars here in the summer. 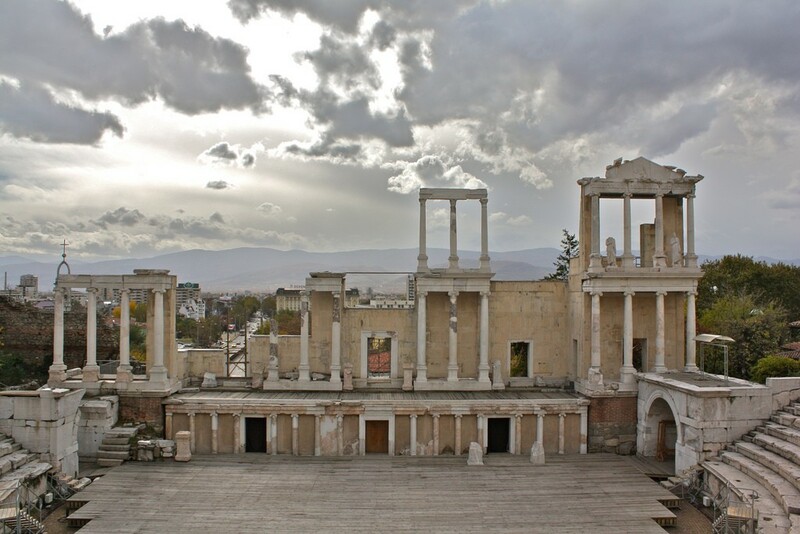 It offers one of the most amazing views of Plovdiv, through the ancient columns of the stage. The Clock Tower, located just a five-minute walk from the main pedestrian street in the city, has given its name to one of the Plovdiv hills – Sahat Tepe, or Clock Hill. 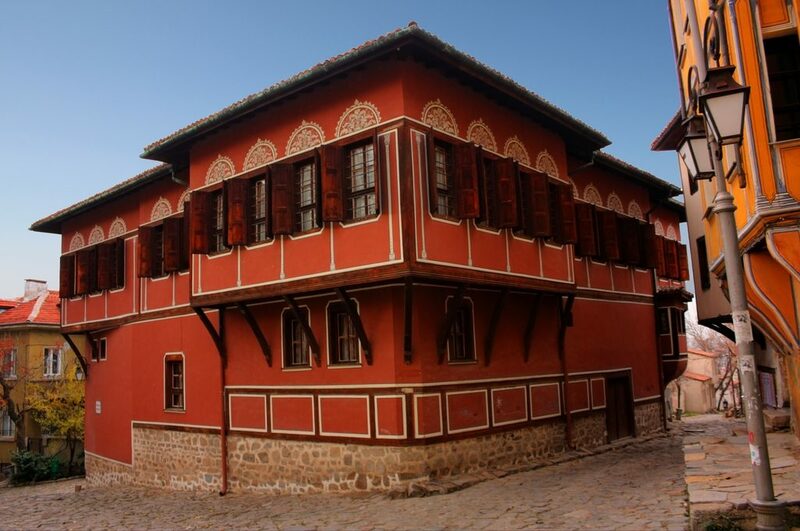 It was first mentioned in 1623, and that makes it one of the legendary buildings in Plovdiv. The building you see today is not the original, however – the current one was built in 1812. The 100-year old building of the Plovdiv City Hall is one of the most beautiful in the city center. In the past, it used to house a jail in its basement, while nowadays it is used for administrative purposes only. There are magnolia trees in front of it with a small fountain. The Old Bath, or Chifte Hammam as it used to be known, was an acting public bath until the 1980s. The Ottoman-style hammam, which was built more than 400 years ago, was turned into an art center in 1999, and has since been hosting contemporary art festivals and exhibitions. 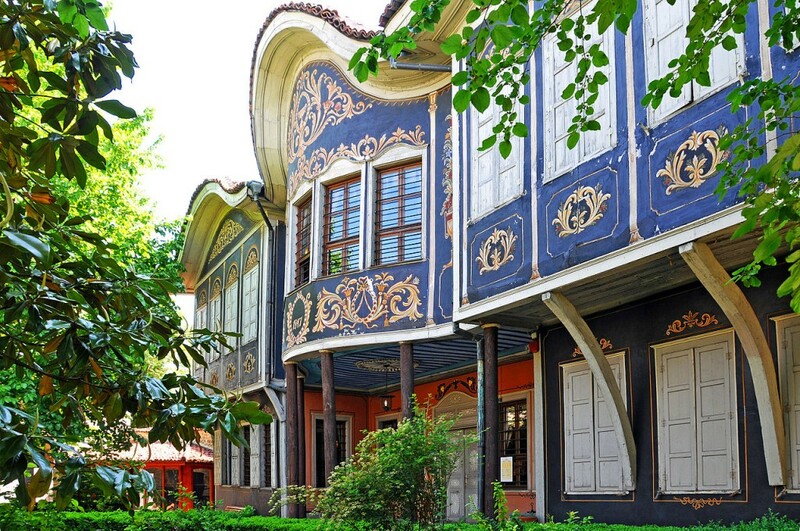 If you roam the cobblestone streets of the Old Town of Plovdiv, you can’t but feel tempted to look through the ornamental window of the Ethnographic Museum‘s fence – the blue house inside is one of the most impressive Bulgarian Renaissance houses in the Balkans. This house is more than 150 years old and was home to one of the richest inhabitants of Plovdiv at the time. Another fine example of the Plovdiv Old Town’s architectural treasures – the Balabanov House was built in the beginning of 19th century by a rich merchant. Nowadays, it has been turned into a museum, one that hosts many theatrical and musical performances. Dzhumaya Mosque (pronounced joo-mah-yah) was built some 600 or 700 years ago and is located in the center of the main walking street, on a square with the same name – Dzhumaya Square. It is still the main place of worship for the Plovdiv Muslims, but you can also visit it as a tourist. There is a Turkish café and sweet shop in front of it, serving the best Turkish sweets in town. Right next to it sits the Ancient Roman Stadium.